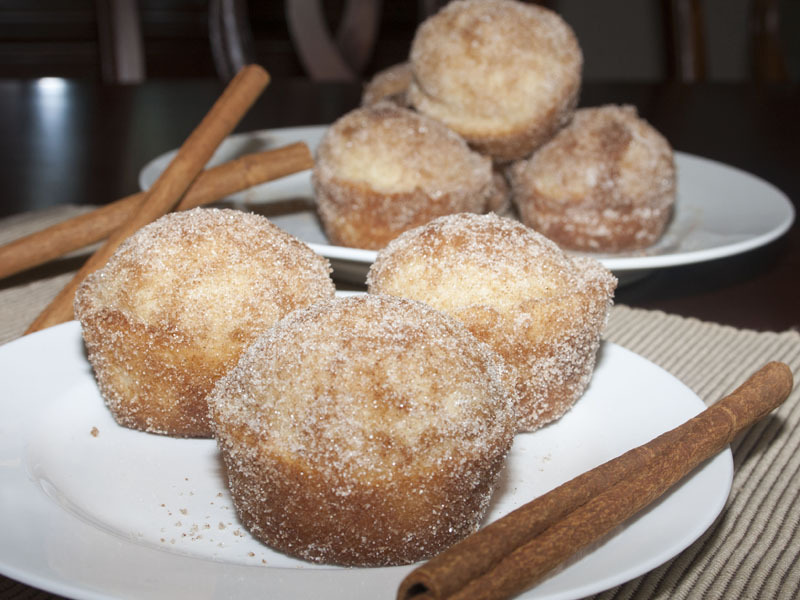 Although these are called French Toast Muffins, the taste is actually what I’d describe as the love child of snickerdoodles and doughnuts. Yeah. Think on that for a while. Yum, right? Anything that you dip into butter while it’s still warm is gonna be delicious. Guaranteed. 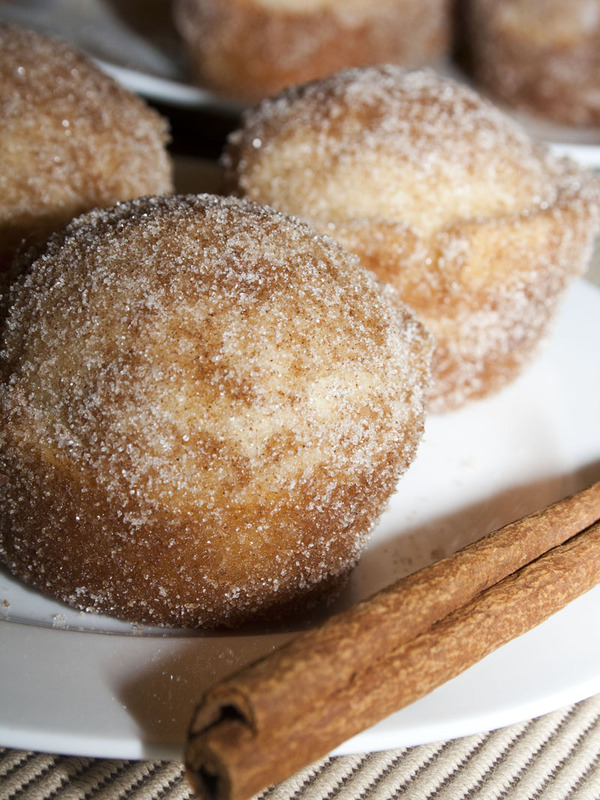 Add some cinnamon sugar action to the mix and you’ve got a masterpiece! This batch only made 8 muffins for me, so if you have more than just a couple of people to feed, I’d double it up. I’m pretty sure I took down 3 of these…it may have been more. I stopped counting after the first glorious bite. In a medium-large bowl, sift together all dry ingredients. Add wet ingredients and stir until combined, but still a bit lumpy. Don’t overmix. Scoop batter into muffin tins that have sprayed with cooking spray. Using a large ice cream scoop, I got 8 medium-large muffins out of this batter; I think you could get 10-12 muffins by distributing the batter a little less generously. Bake for 20-25 minutes, or until they just start to turn a bit golden at the edges. 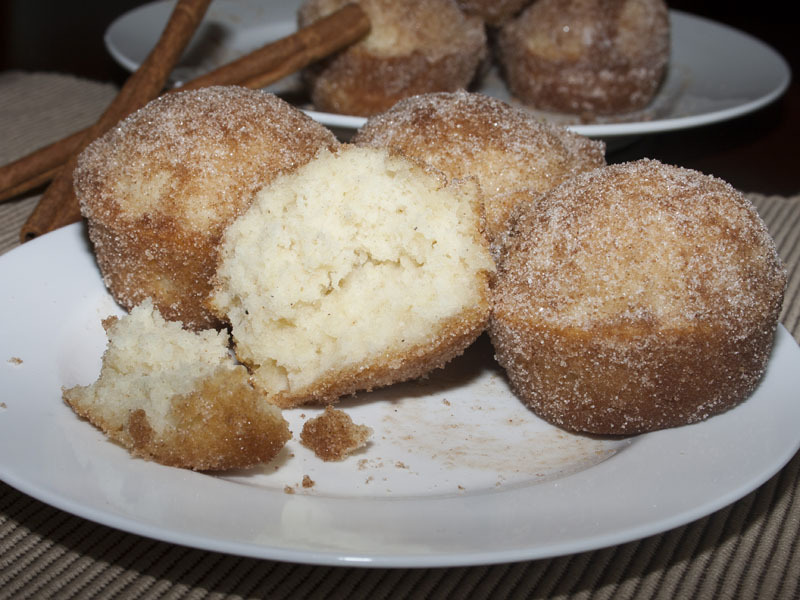 For the topping, mix sugar and cinnamon in a small bowl. Place melted butter in another small bowl. 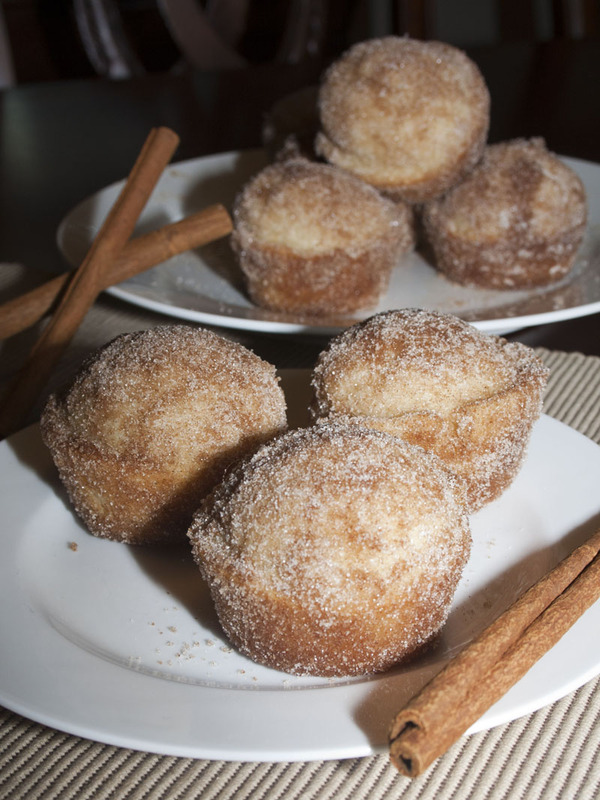 Dip the warm muffins in melted butter, then dip/roll the muffin in cinnamon sugar. I wanted to leave you a note to let you know that I made this muffin recipe today and they are just wonderful. I just finished having one with a cup of hot coffee and those two were delightful together. The only changes I made were to use about a half teaspoon of ground cinnamon instead of nutmeg as I didn’t have the nutmeg on hand and I used Silk soy milk in place of regular milk. I did notice they are just a bit on the dry side so wondering if I could maybe add an extra egg or a bit more butter for moisture? In any case, thanks for a great recipe, will be giving some of these out to friends this evening and they will love them too. Great substitutions. If they are a little dry, I’d try cooking them slightly shorter time. Since oven temps vary, these can go from perfect to dry(ish) very quickly. Glad you are enjoying them though! I used buttermilk instead of regular milk. The muffins turned out deliciously moist. Eating one of these right now! Super yummy 🙂 I made 12 smaller muffins and got distracted but should have probably taken them out of the oven around 18 minutes. Also, I cut the topping recipe in half and still have more than enough melted butter left over! Made these this morning and I cannot say enough about how delicious they are! I just made these & made a few substitutions. I added vanilla extract, I used brown sugar instead of granulated sugar, & I used heavy cream instead of milk. They turned out divine!! Used my mini muffin pans, baked for 12 minutes and made 24 perfect petite muffins. My kids LOVED these! I’m so glad your kids loved them Pamela! Oh my gosh!!! I love these, and I can NOT bake. ☺️ Thank you for sharing this easy-peasy and oh so tasty recipe!